Investigations Toronto offers video surveillance Investigation services to a wide range of clients for numerous types of applications. Our clients, in both the private and public sector utilize video surveillance Investigations and include insurance defence lawyers, human resources and management professionals, property, casualty and life insurance adjusters. Investigative video surveillance is the tried, tested and true method in obtaining evidence for WSIB, short and long-term disability and other types of insurance claims investigations. Video surveillance, used for evidentiary purposes, can have a substantial impact on a claim with significant savings on insurance payouts. Investigations Toronto mandates its personnel to utilize 1080p HD video cameras and provides its Investigators with time and date stamped covert cameras that are able to obtain video evidence in public places such as restaurants, health clubs, grocery stores, etc. The Investigators at Investigations Toronto are professionally trained and equipped with industry-leading equipment, specialized vehicles and cameras with night vision capabilities, allowing our investigators to effectively complete Investigative assignments and document activity. Our staff also provides continuing education and training for court depositions and trials. Through an established network of strategic partners across Canada and the United States, Investigations Toronto offers nationwide and cross border capabilities to provide video surveillance Investigations. 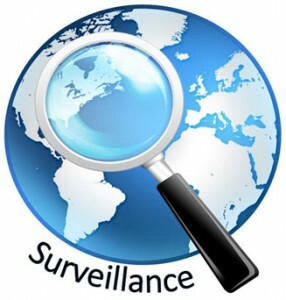 Our surveillance Investigation services can be customized to suit each specific Investigation depending on the objective and nature of the particular case file. Our management staff keep clients up-to-date on each file and provide verbal and, or email updates with activity reports and the status of costs incurred.